When you think of vinyl shake and shingle siding, you most likely think of a Cape Cod-style home. These types of homes are well-known for their shingles that add character, charm, and timelessness. Luckily, homes of any style can boast shake and shingle siding to achieve this same look. One of the main reasons that homeowners choose vinyl shake and shingle siding is because of its curb appeal. You’ll get the look of authentic cedar shingles, but since our siding is made from vinyl, you won’t have to worry about maintenance. While cedar shingles can rot, warp, collect mold, shrink and swell, and more, vinyl shingles won’t do any of those things. In fact, vinyl shingles are virtually maintenance-free and resist fading, warping, fire, termites, stains, and cracking. 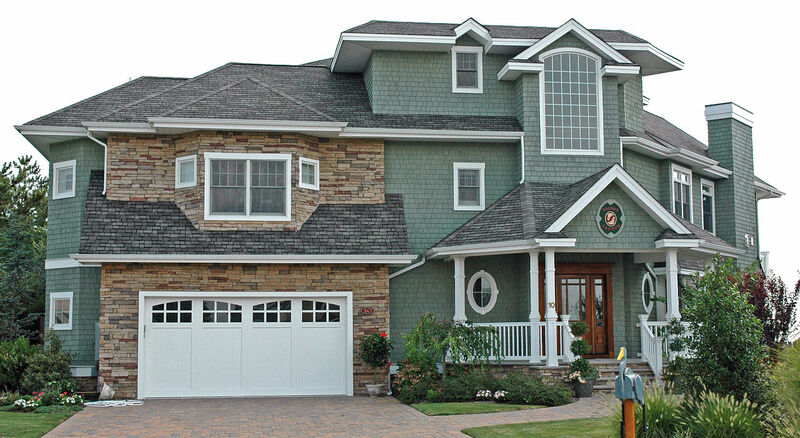 Vinyl shake and shingle siding can be a creative addition for homes of all kinds. Because of its texture, depth, and architectural allure, you can make your siding the highlight of your exterior design. And with a wide variety of colors, we can help you choose the best one to highlight your home’s features. Whether you’re interested in highlighting a certain area or using shake and shingle siding over your entire home, our siding experts can help. Give us a call today.